Home / News / Flipkart Big Shopping Day sale 6th-8th December Come On India. 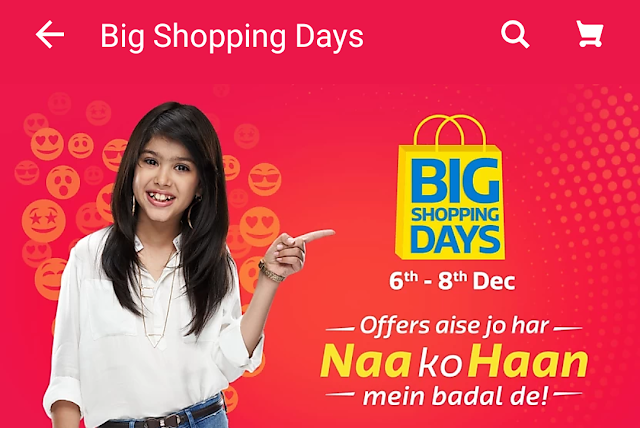 Good news for you now because Flipkart Big Shopping Day is going to start from 6th to 8th December. This is very good for those who buy a mobile phone and some other product. And if you have HDFC Bank's Credit card or Debit card, then you will receive a 10% discount on every order. 1. Mobile Offer. Everyday Price. Big Shopping Day Price. 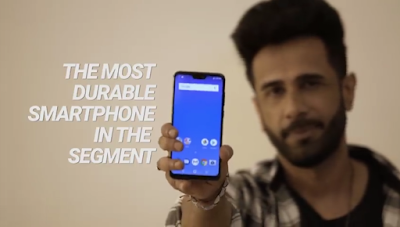 Redmi Note 6 Pro will be available 6th-8th December on Flipkart and sale will start from 12 noon. Can not be finished just how many phone offers are. Please take a look at Flipkart. TV and Home Appliances Up To 70% OFF. Electronics and Accessories Up To 80% OFF. Headphones and Speaker Up To 70% OFF. Fashion Up To 40% - 80% OFF. Home and Furniture Up To 40% - 80% OFF. Book, Toys, Sports, Books and more Up To 80% OFF.